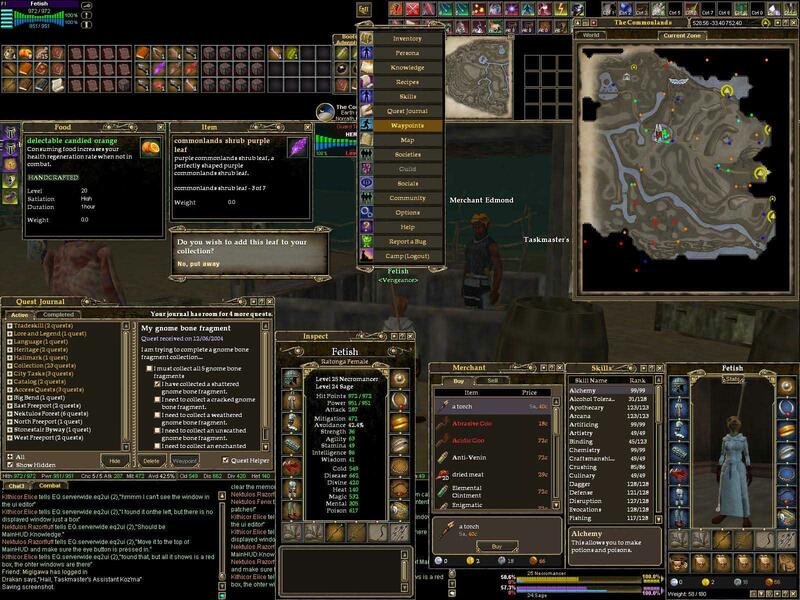 Fetish Classic is a "Motif" based on the Fetish Framework that debued with Fetish Nightfall (a complete "splash screen to logout" reskin and functionality overhaul of the entire EQ2 UI with too many features to list here). Visit the links above for a comprehensive feature list and technical support. 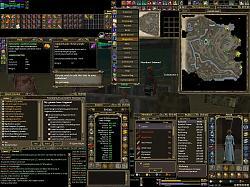 Classic is the second Fetish "Motif", designed to be easily updated with new graphic and texture "Themes" with minimal XML editing. Alternate themes are available with more being added slowly. Modders are encouraged to upload alternate Themes to the Fetish Themes page. Window mods can be uploaded as add-ons to each Motif page. Basic instructions for reskining other mods for Nightfall can be found in the Support Area. The enclosed ReadMe.txt is for convenient offline viewing but I do recommend you visit the link above for the most up-to-date install instruction. Improper install may result in non-functional windows and/or incorrect display. DO NOT post tech support issues or bugs in this thread! Use the Support and Features Area. Unrecoverable error and must shut down. 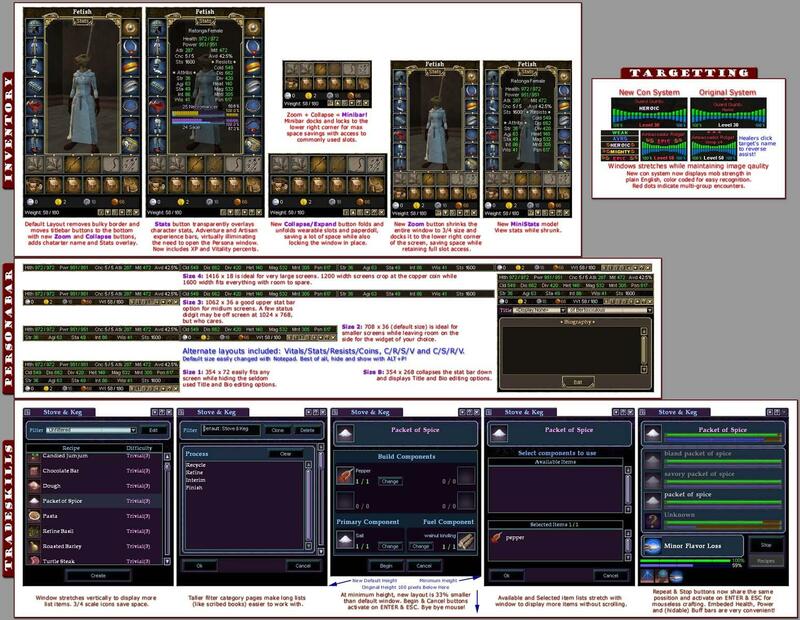 I am having an issue when clicking hotbar settings, nothing but a black window shows up. 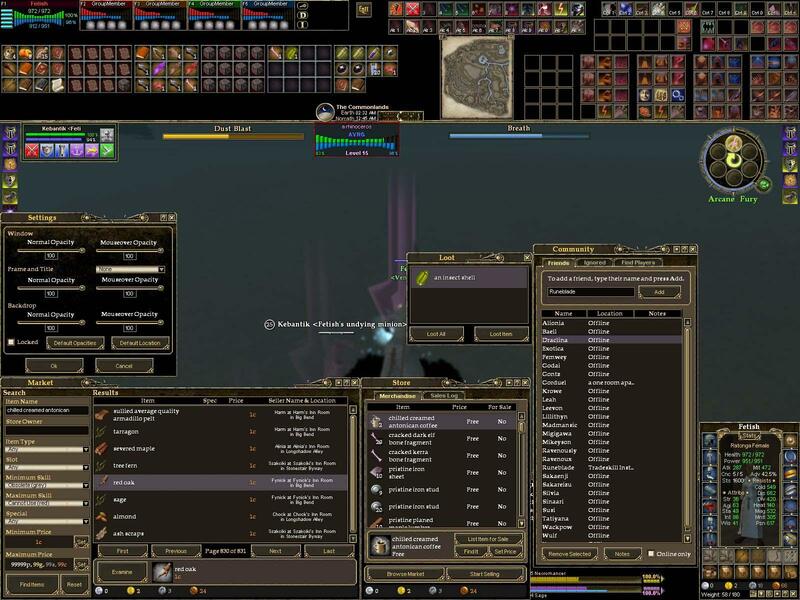 I can't move any of my spell icons on the hotbar because my hotbar is set so that they can't be moved, and when I right click on the bar, the option to allow draging icons is missing, and if i click on the options box a blank box pops up. I 2 box and this is happening on both computers. Any ideas on a work around for this? Thanks, And I love your Mod!!! I've an issue with the implied target window. It is simply blank space. When I mouse over where it should be the little con toggler pops up in the corner, so I know its there - and its of appropraite size - but there is simply no implied target information in the window box. Anyone else experience this? thanxs for the updated classic zonx. You could simply use your existing Classic Fetish. 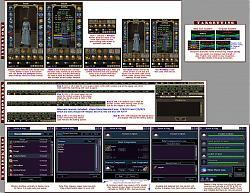 Identify the offending UI windows, and replace them with the Nightfall ones. I have done this, and everything works fine. I don't see purple. Re: Hey Zonx, know when Classic will get updated also by chance? Hey Zonx, know when Classic will get updated also by chance? Been wanting to fiddle around with the new things without seeing them all in purple, hehe. Lots of good stuff I see you adding. Hey Zonx, know when Classic will get updated also by chance? Yes. Please, I love your UI and I would like to be able to use it but I can't b/c of the broker issue. The update notes for LU24 list the files that need to be updated. I cant find the collection window... and when i dbl click the collection it takes me to the quest journal but no collection window =/. Last edited by EQCadenza : 05-26-2006 at 06:20 PM. Re: Re: Is this UI passe? Actually I was wondering the same thing. The inventory window is different now and there is no way (that i can find) to unequip / stop using food and drink. Re: Is this UI passe? Is this UI ever going to be u[dated to a current status or is pretty much dead in the water? In what way? I've been using Fetish since LU18 and it works in LU19, only thing I've found is the UI settings screen doesn't work. Check over on the Fetish Nightfall thread and there is a small patch someone did to update it.